I received an email the other day from a visitor saying how much he enjoyed reading my reviews, but he was a disappointed as it seems tuxmachines had been ignoring his favorite distro. As it was a nice distro and a new version was released three weeks ago, he felt it deserved some attention. So when my new burner arrived, it was the first distro I tested. In fact, I've been using it for a couple of days now and the author of that email was correct when he said it was fast, stable, and up-to-date. I refer to Arch Linux 0.8 Voodoo. I used the torrent to pull Arch in, and it came in surprisingly fast. At 300KB/s, it was just about the fastest torrent pull I've experienced, at least recently. 561MB arrived in short order and became the distro that tested if my new dvd/cd burner worked. Not 100% sure what to expect, I mkfs.ext3 this old partition I had laying around and booted the install disk. The first screen that appears offers some helpful information and the available boot options. I didn't think I needed any and just pressed Enter. They system booted with typical linux standard output and brought me to another information screen with instructions for some of the various installation options, such as the logfile, keymap, or setup method. The setup methods are Normal or Expert. If one chooses the Normal install, they start a setup routine very similar to what is found with Slackware. The installer for Arch and Slackware are what I refer to as ascii-graphical. I just made up that term years ago to distinguish the ncurses interface from actual text-installs. To this day some folks still call these Slack derived installers "text." Text is just that, text. It's where one must type in every command to accomplish the install. The installer in Slackware, Arch, and Zenwalk, etc, is not text. It might be keyboard driven, but one is offered choices and after navigation with the arrow keys, one clicks OK using the Enter key instead of clicking with the mouse. After the welcome screen, one chooses the install source. Your choices are from cdrom or ftp. I had downloaded the install iso, so I chose cdrom. One can get a boot image and install over the net from an ftp repository if they prefer. Then one is taken to the setup menu, again similar to Slack's. Here one can prepare their harddrive using cfdisk or allow the Arch install program to auto-prepare the disk. This latter method takes over the whole drive and makes the necessary partitions. If one doesn't need to make partitions, they can skip ahead to selecting the swap and / partitions and choosing the filesystem. One can choose their favorite filesystem from reiserfs, ext2 & 3, jfs, xfs, and vfat (iirc). Next one selects the packages for installation. One screen suggested that one only install the base system first and then install the rest after making sure the base boots. Or that's how I understood it, and that's what I did. I selected base install and Yes to all packages by default. It took no time for this step to finish and I went on to number 4 in the menu, Configure System. During the first phase of Configure System, one can opt to have their hardware auto-detected. This is always a good idea and when presented with the choice, I always go with auto-detection. This step includes answering some preference questions concerning support for USB devices, firewire, pcmcia, nfs shares, raid, lvm volumes, or encrpted volumes. Then one is asked which is their preferred text editor, vim or nano, so that they can edit the system configuration files. Editing the system configuration files is not as complicated as it sounds. During this step, one is presented a list of files for review. For the most part, they are already configured. One just needs to glance over them to make sure no changes are in order. For example in /etc/rc.conf you might want to input your hostname, change the timezone, or set your internet connection information. Next is /etc/hosts. In that one you might want to put your ip and hostname.domainname hostname. /etc/fstab will already be set up for your current system, but you can add any partitions you might wish mounted at boot. The /etc/mkinitcpio.conf sounds a bit scary, but it's pretty much ready. I added support for my chosen filesystem, but it might not have been needed. /etc/modprobe.conf is available if you have any exotic hardware. For the most part, this isn't need as most is auto-detected. You will probably want to add your nameservers to the /etc/resolv.conf file. /etc/locales.gen offers a lot of examples and lists of locales, so it's not difficult to pick out yours. And finally there is the root password. This is the interactive portion where one inputs their chosen root password as found in Slack's installer or issuing passwd at the commandline. So, all in all, there really isn't much to do during System Configuration, but one should not skip it. Next one installs the kernel and bootloader. Again menu-driven one just chooses their preferences. Grub and lilo are both available. At this point the install is finished and I rebooted into my base Arch install. At that time I had no X nor window manager. Arch uses pacman for the package manager and it functions in much the same way as apt-get in Debian and derivatives. In fact, the steps are almost identical. One must set up a configuration file of repositories and update the database before using it. As with most distros these days, Arch's pacman.conf already has sufficient repositories configured. You can add your own or uncomment some of the extra choices such as unstable or community. One then updates, or refreshes as pacman calls it, the database with pacman --sync --refresh. It is recommended that we then update the system to current and even after just three weeks there were several updates available for me. I accomplished that with pacman --sync --sysupgrade. There are several handy options to use with pacman, but for the most part, one will only need to issue pacman --sync <package name>. Sync pulls packages in from remote ftp mirrors while -add will install local compressed tarballs. See the online wiki for more options or man pacman is complete as well. So, in my case I merely typed pacman --sync xorg kde. It took a while to download the 300+MB of packages and with so many, I was a bit nervous that installing them might fail. However, it did not. After downloading for a couple hours, the system worked away for a bit installing packages. A progress bar for each package was displayed to let me know things were proceeding along. And finally it was done. There was no /etc/X11/xorg.conf file present, so I issued the xorgconfig command. It's the same procedure as the old xfree86config. It is an interactive X setup. If you've ever configured or paid attention when accepting the defaults in any Linux install, this configuration shouldn't be much of a problem. Choices are offered and many times only hitting the enter key is required to use the defaults. All one really needs to know is their video card. Knowing the horizonal sync and vertical refresh is quite helpful, but if you don't just pick one of the lower safe choices. Pacman reported that there wasn't a kdm or xdm available, so I just use xinit /opt/kde/bin/startkde to start KDE. Gnome and XFCE4 are also available. Installing kde pulled in a lot of dependencies (including gtk, *sql libs, cups, lm_sensors, cairo, media codecs, etc) so that with just xorg and kde, I had a complete system ready for use already. After starting KDE, I installed The Gimp and Firefox. OpenOffice.org, koffice, and abiword are also in pacman repos. The KDE version is 3.5.6, the kernel is 2.6.20, gcc is 4.1.2, gimp is 2.2.13, firefox is 2.2.0.3, gnome is 2.18, and xfce4 is 4.4.1. A full list of current and extra, as well as testing and unstable, packages can be found here. In the KDE desktop, one finds the complete KDE suite. It's mostly default, but Arch has added their own customized wallpaper and splash screen. It a really pretty blue background with a nice modernistic almost jellied version of the Arch arch in the center with the system identification in the lower right corner. The busy cursor is a teny tiny little blue arch as well. That's pretty cute. In the menu one finds an entry labelled Archlinux that leads one to handy links to the various hotspots on the Arch website, such as Documentation, Forum, Donate, and homepage. I searched the forum for a few answers, such as how to improve the gtk fonts, and I found that the forum is quite active and full of information. It seems from a cursorary glance that all questions are answered in a useful and friendly manner. The Documentation could use a bit more detail in certain areas, but they have a lot more documentation some others. So, all in all, it's quite useful. This release marks the end of an era for Arch. Beginning with the next release, there will no longer be the .7, .8, or 1.0 type version numbers. They state that from now on they will be versioning their releases to coincide with the release date, year and month. In conclusion I found Arch to be just what it advertises. "Arch is fast, lightweight, flexible and simple." Some say that it may not be newbie friendly, but I tend to disagree somewhat. Sure there's a bit of configuration needed, but nothing that should be overwhelming. Anyone that has installed any Linux before can probably handle installing and configuring Arch. Submitted by hussam on Friday 20th of April 2007 02:21:45 PM. One note. Kdm is part of kdebase, it's not a seperate package. Also, I really recommend you try gnome under ArchLinux as it works much better than kde. Finally, thank you for writing this excellent review of ArchLinux. Submitted by bugme on Friday 20th of April 2007 02:42:05 PM. I really recommend you try kde under ArchLinux as it works much better than gnome. Submitted by STiAT on Friday 20th of April 2007 02:53:18 PM. I'm running arch since 2004 now, without gnome even installed. I never had any problems with KDE, or any cooponent of it, and think the kde maintainers do a great work on it (working with kde since version 1 or 1.2 of kde, and for me it always made a better impression than gnome). What gnome differs from kde: not that many apps are installed with gnome. More choice is given, but i like even xfce more than gnome. At least - with arch we have the choice. The review is pretty much what i feel about arch. There could be done a lot of making it easier for several "special" usage, and in some terms more user friendly (network scripts and similar), but it's a complete and friendly distribution. Personally, i liked the comment about the forum best, since that is what actually makes archlinux to what it is - the communtiy. Though, i'm developing on the system, and don't "work" in a common way (mail, office, watching movies, playing mp3s, ..). For Office and Mail i use Citrix, which is fully integrated into the linux desktop since version 10. Submitted by hussam on Friday 20th of April 2007 03:22:39 PM. bugme, I never said KDE is bad. Both Gnome and KDE are equally good. It's a matter of taste and I just happen to prefer Gnome over KDE. Submitted by jibal on Friday 18th of May 2007 06:36:53 AM. It's sad that someone would lie when what they wrote is right there in black and white, and silly when it's something so inconsequential as a desktop preference. Submitted by phrakture on Friday 20th of April 2007 03:28:37 PM. Thanks for the great ArchLinux review. We currently have a little list going on the main archlinux.org page of reviews of the distro - would you mind if we linked here? Submitted by srlinuxx on Friday 20th of April 2007 07:11:18 PM. Naw, I don't mind at all. Thanks. Congrats on a fine release too. Submitted by preeth26 on Saturday 21st of April 2007 02:01:57 AM. Arch Linux seems to be a great distribution for laptops as well. CPU frequency scaling as well as suspend to disk and RAM work with minimal effort when following their wiki. I have been using Arch Linux for several months now without any serious issues and I really love the fact that I can do an entire system upgrade periodically without too much trouble and without having to burn new CDs. Also, I was able to install the earlier version of Arch Linux with LVM using the command line even though I am a relative newcomer to using Linux. Apart from this Arch Linux also offers the option to install packages from source if necessary! Indeed a great distribution! Submitted by srlinuxx on Saturday 21st of April 2007 02:14:33 AM. That is wonderful news. Thanks so much for sharing. I felt a little bad I didn't test it on my laptop, but I knew basic support was there. I saw some of the packages being pulled in for the KDE install. Submitted by preeth26 on Sunday 22nd of April 2007 02:02:44 AM. By the way, I forgot to mention that I am using the 64 bit flavor of Arch Linux on my laptop and it works beautifully! For those that may not be already aware, Arch also offers a 64 bit version. Among the hundreds of Linux distributions listed on Distrowatch, there are very few distributions that offer 64 bit support. Given how involved it is to get Gentoo Linux set up and running, Arch is an ideal compromise between binary and source based distribution and a real breeze to keep up to date. 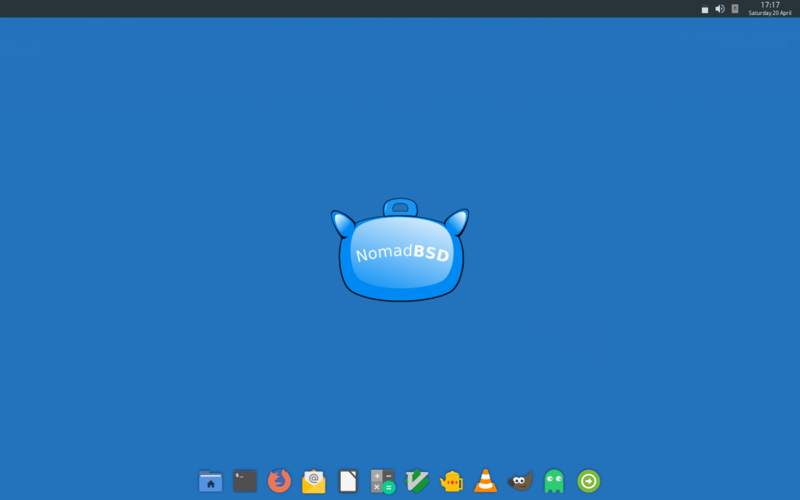 Excellent review about an excellent distro! Submitted by Rehto on Saturday 21st of April 2007 03:17:27 PM.